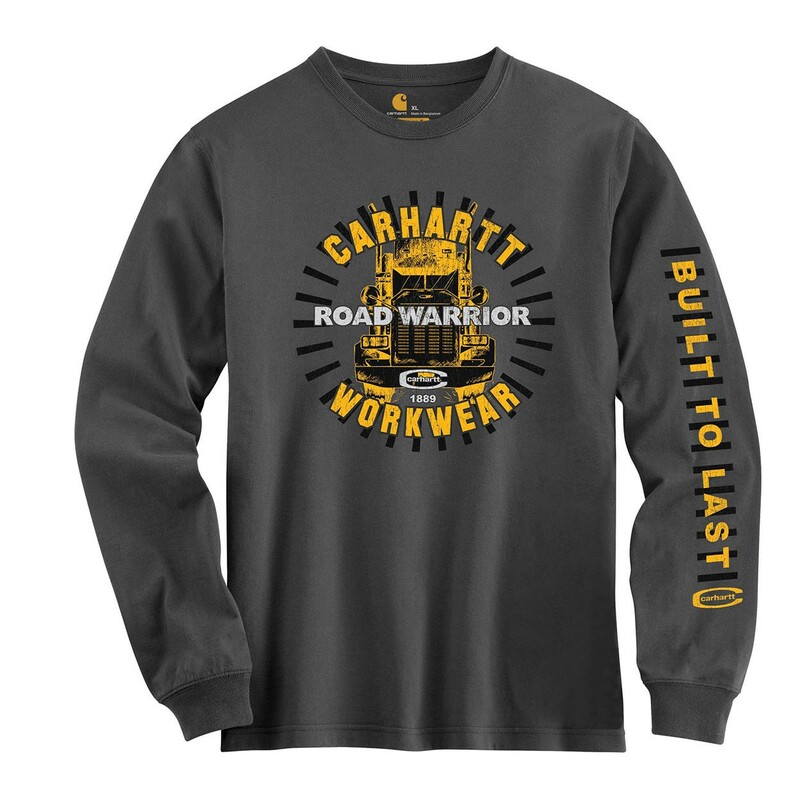 The Carhartt Road Warrior relaxed fit T is a long sleeve textured knot graphic crewneck and is constructed from 100% ring-spun cotton. It features a rib-knit crewneck and cuffs and side-seamed construction to minimize twisting whilst a rolled forward shoulder gives a more comfortable fit and graphic print. Carhartt garments are generously sized so you may wish to drop down from your regular size when ordering.